Ooohh, there is hot color in the garden right now! Both blooms and bounty are shades of red, orange and yellow with a measure of plum and violet thrown into the mix. My garden has been a delight (for the most part) this year. I’ve enjoyed much of the ornamental garden and have a smaller “change order” list than usual for this fall. Of course, I garnered new inspirations over the summer, especially during the Portland Garden Blogger’s Fling, and will be adding and subtracting plants but overall, I like what I see! Certain insects such as earwigs, aphids and cabbage loopers have been more of a nuisance than usual but I’m thinking this is because there hasn’t been a freeze since March and there’s been a bit more moisture than usual. My suspicion is what makes for a good growing season makes for a good bug season too! I’ve been away much of the summer so haven’t captured as much of the garden as I would like, but being away and coming back to see the change has been a pleasure. I’ve learned that some areas can get along beautifully without me, while others are in true need of my daily puttering to keep things in order. And, there’s always that batch of summer sprouting weeds that tries to claim King over the land, but I was home just enough to win that war! 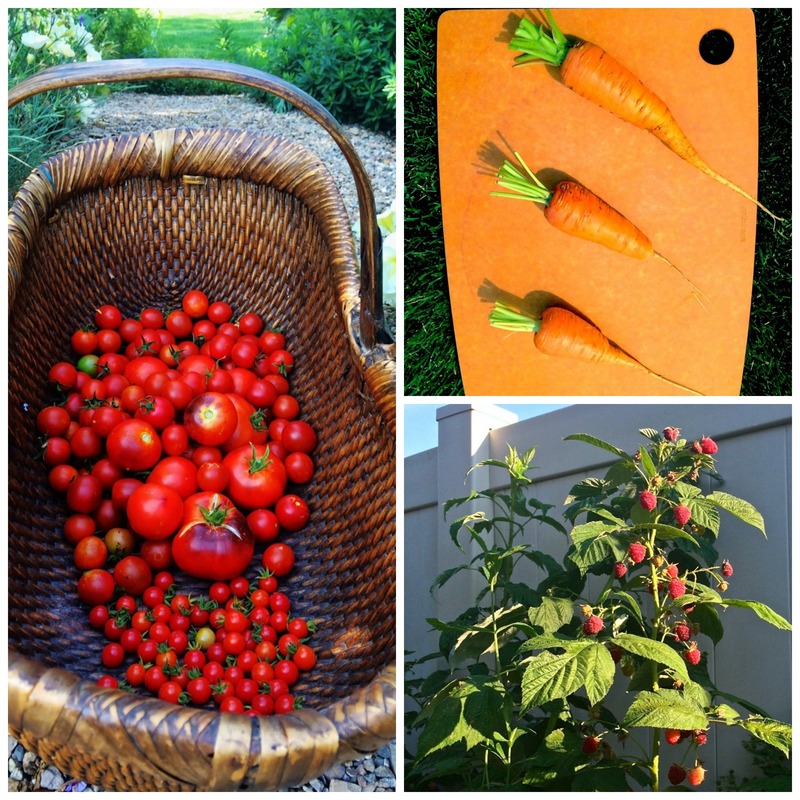 The edible garden is booming right now with lots of tomatoes and raspberries to harvest every few days. Pole beans are coming on and all of the red potatoes, carrots and garlic have been harvested. Lots of food pics and maybe some recipes to come…. But for now, enjoy some color during these dog days of summer. 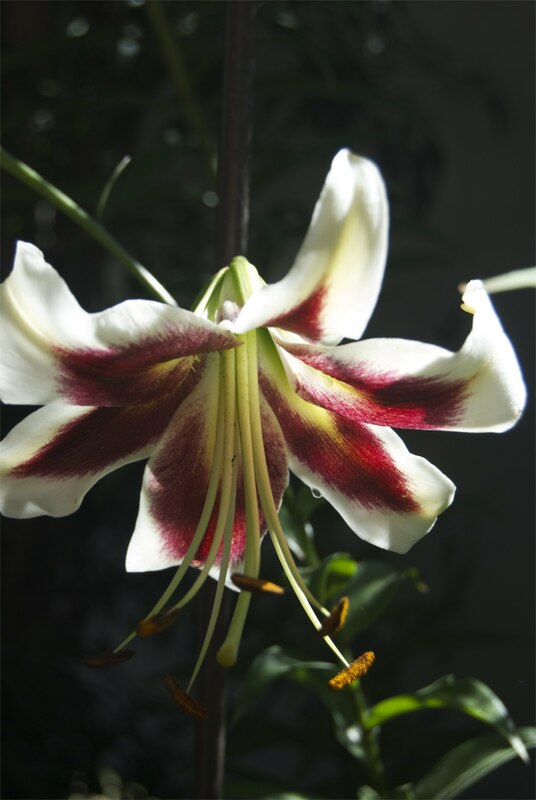 Unknown Orienpet lily. Not as hot but I still find a warmth in it! And, a bit of violet to mix up the palette! 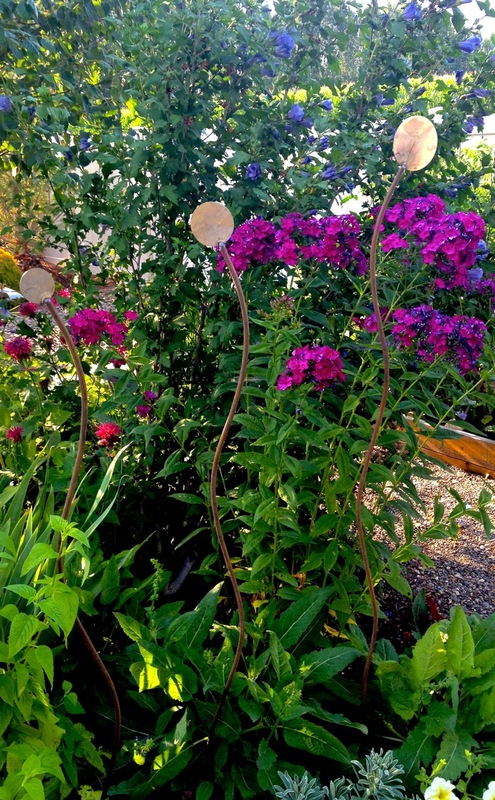 This is phlox paniculata ‘Nicky’ paired with some ornamental stakes that I finally placed. How about you? 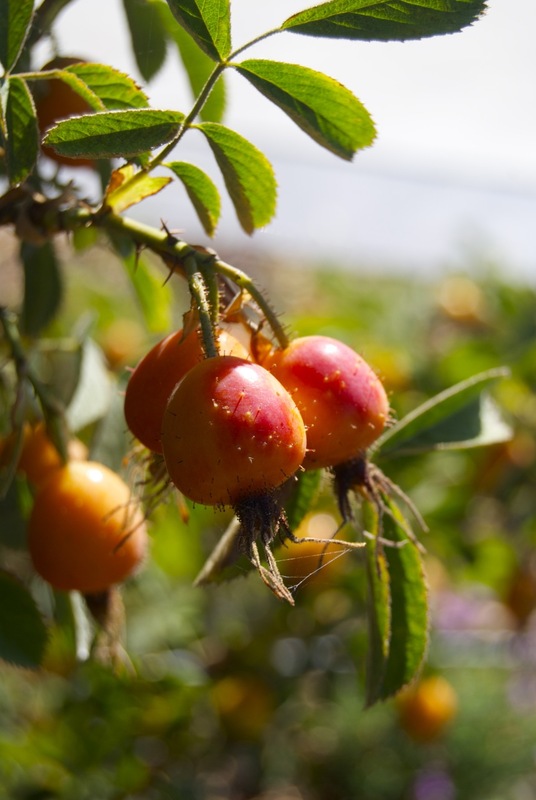 How has your garden grown this summer? 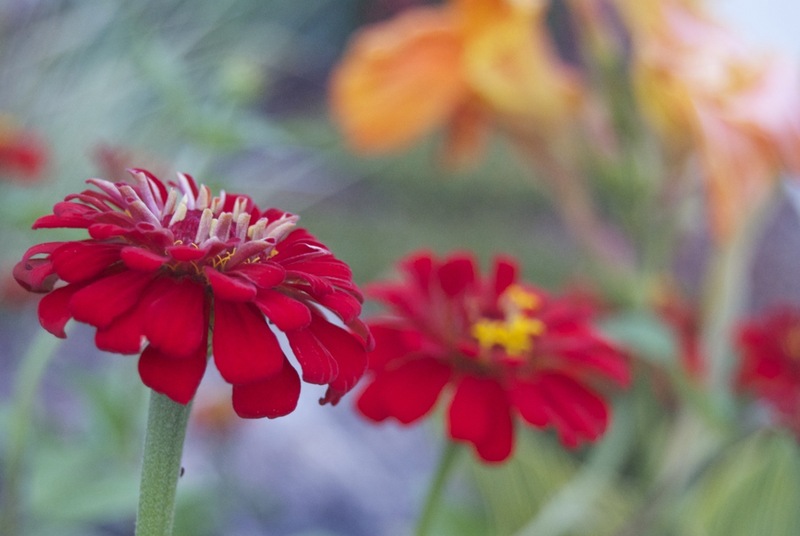 Do you have a favorite plant blooming this August? I have lots of late summer blooms, so no favorites to say, except what the pollinators pick as a favorite. That would be Perovskia right now. The plants are in constant buzzing. I really like your new front garden. I like the curving nature with the stone and gravel – a very professional look. Wow! Thanks Donna for compliment. That is something I cherish coming from you as you are a professional and so well-educated in design/architecture. I don’t have Perovskia in my garden at this time but I might have to find a spot…so many people grow it and it grows well here. So beautiful! I love those stakes and all those boulders in your landscape. I wait and harvest my carrots after the first frost. But yours look fabulous already. I’ve never heard of Hudson Valley zinnias. I’ll have to look those up. You have a beautiful garden Andrea and puttering is a new word to me but I know what you mean. I have a little carrot envy! Every one I have dug here is misshapen, yours look great! HI there! Thanks for stopping by. Well, I like to think I’m more efficient than puttering but I really don’t know that I am! Thanks for the kind words on the carrots! Beautiful pics! Love the single flower one! Love all your bright summer colors and your decorative stakes are a nice touch. 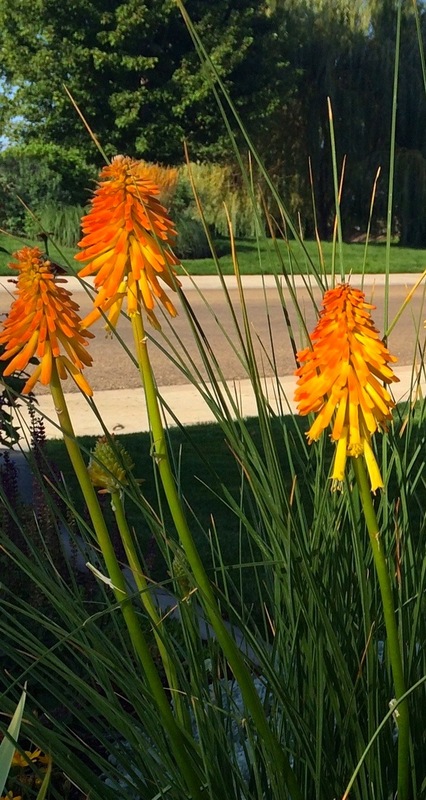 I don’t blame you…they look great and add a lovely dimension to your garden. 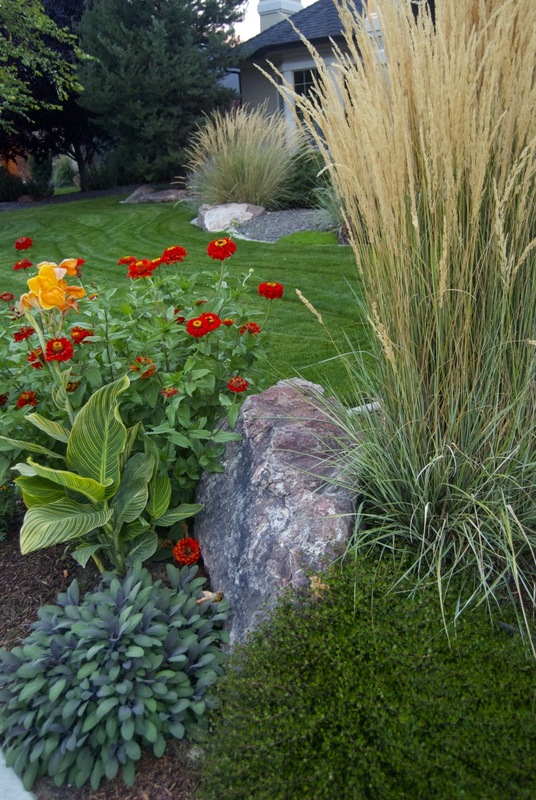 I love those red zinnias, and they combine really well with that grass (is it ‘Karl Foerster’?). I also really like those ornamental stakes, they look more like garden art. What a beautiful vibrant garden! You are lucky to have so many wonderful blooms and tomatoes! Your flowers are beautiful and a nice harvest. My harvest is slow but coming. 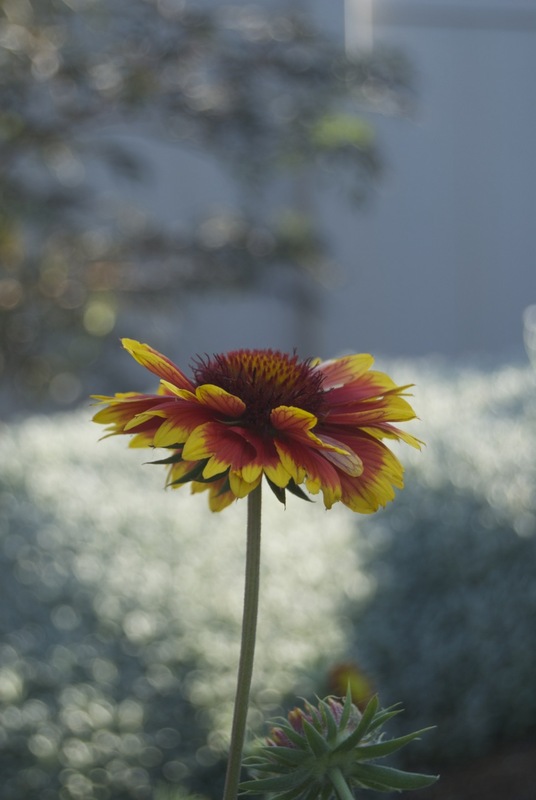 My favorite flower now is the rudbeckias…so many varieties that are blooming making for a fun vase at the moment.